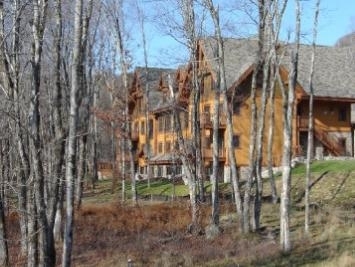 Luxury Executive vacation rental Condo- Etoile du Matin - Situated at the base of the South Bowl - Mont Tremblant - Magnificent views - Best Casino Accommodation. Overlooking The Express Chair. Ultra modern - can accommodate 6 people. Living/dining room with beautiful fireplace. Flat Screen Plasma TV, VCR, sound system. 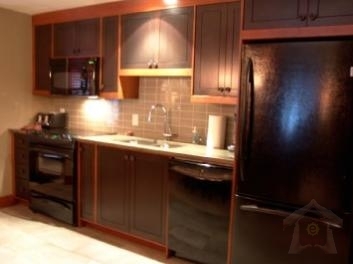 Fully equipped Kitchen built for entertaining. King bedroom with private ensuite. 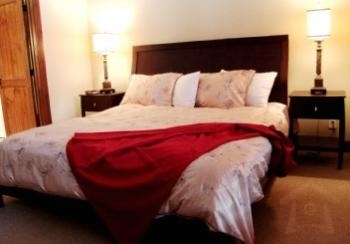 Second bedroom- Queen bed and Murphy Bed. Large bathroom - Washer and dryer in complex. Private underground parking. High speed - internet-Free long distance calls Canada and US. 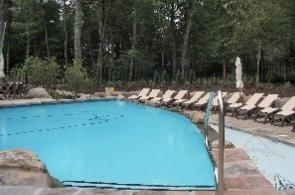 This holiday rental Condo at the base of the best Ski vacation resort in Eastern North America as voted by Ski Magazine. Your mountain holiday home is a harmonious fusion of vision and details that looks fresh while also feeling as though it has been here for decades. Combining the Quebecois architectural vernacular, classic alpine influences and intricate details, these homes feel right. 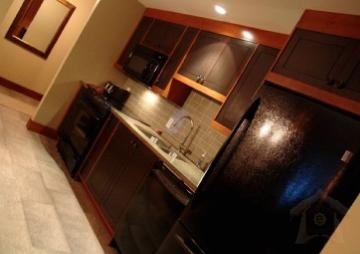 At Etoile du Matin, every vacation home rental has private access from both the outside and the underground parking garage. 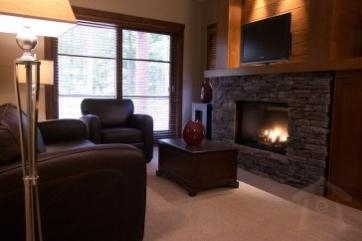 Private access stairs are designed to accommodate the skiers lifestyle and all its accompanying equipment. These Holiday Rental Homes also include specially designed, lockers for storing your familys equipment between runs. What has made Tremblant the number 1 vacation resort in Eastern North America for the last nine years is magic. It is a special place, where nature meets our lust for life and real experiences. Tremblant renews your belief in yourself and in the world around you. Etoile du Matin is tranquilty and nture at its best. 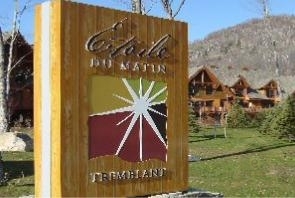 Come and visit and enjoy all that Tremblant has to offer.